"Are you in the midst of a Transformation? 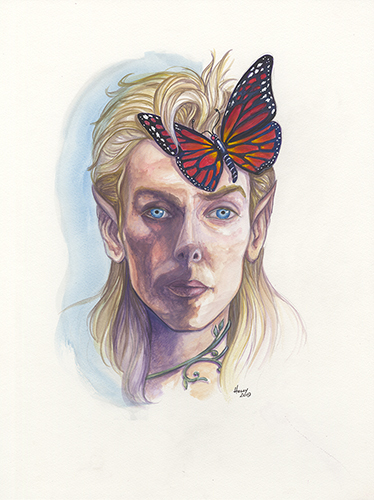 This valiant Faerie Prince will be by your side as you change to your Higher self. He will be reminding you it's okay to be afraid, one is always afraid when one is truly brave. Be brave and this ethereal loyal royal being will have your back as you grow.